Occupational therapy (OT) may sound like it involves finding a job or developing work skills, but it actually deals with strengthening fine motor skills. These include tasks like writing, cutting, shoe-tying, and using utensils. OT is commonly used in special education programs for children. For adults recovering from an accident or stroke, OT may indeed include work-related skills. For children, whose "occupation" is school and play, it will focus more sharply on developmental milestones and skills required for the playground and academic activities. Occupational therapists working with children typically use techniques and routines that seem like play. In reality, they are designed to target areas of delay and difficulty. Some occupational therapists are also trained in therapy with a sensory integration approach. This method uses play-like activities to help children better process and tolerate the information they get through their senses. As a parent, you may want to pursue private occupational therapy for your child. It's also a common service offered to children in early intervention and special education. Individualized Education Plans (IEPs) or Individualized Family Services Plans (IFSPs) will outline the amount of time your child will spend in occupational therapy and where it will be delivered. Your child's occupational therapist should be part of your IEP team and present at any meetings in which that document is discussed and planned. When your child enters an OT program, it's best to have a full understanding of what is involved. This empowers you to help in any way possible to ensure they are receiving the therapy that is most beneficial. You can arrange to observe one of your child's school occupational therapy sessions. Ask questions and make sure the goals of the IEP are being addressed, sessions are being accommodated consistently, and the therapy space is conducive to good work. 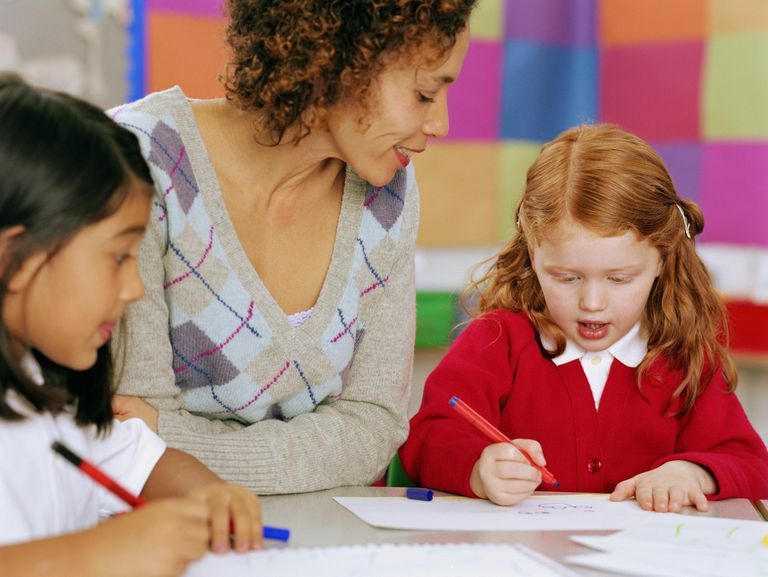 A school OT can be very helpful in addressing problems in the classroom. They can also recommend things like writing utensils, seating solutions to keep your child from fidgeting, or weighted items to help calm and focus. Keep up good friendly communication with the occupational therapist. You may also be able to ask about any problems you need advice on at home. Additionally, you can find out if there's any work you could do with your child to further the OT goals. The exercises often look like games to kids and may be a good way to sneak some substance into your playtime. While some parents may be cautious about intervening with the work their child's teachers, therapists, and case managers are doing, it can help the situation if approached properly. The IEP team will create strategies, but as the parent, your questions and requests can help facilitate those connections. After all, you are the best advocate for your child's education and development. American Occupational Therapy Association. Occupational Therapy Tips for Health and Success in School. 2018. American Occupational Therapy Association. OT in Schools. 2000.